There has been some progress in the last few days. 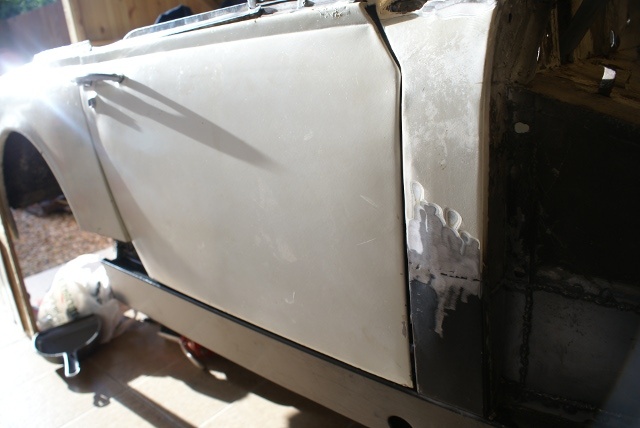 All the panel joins have seam welded with the exception of the floor pan to the chassis rails which has had spot and some stitch welding. 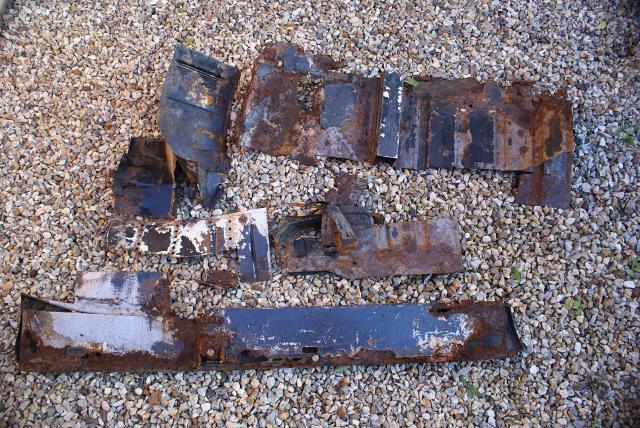 At least it will be easy to split the floor pan from the chassis rail in 20+ years time when the next floor is fitted. Attention then turned to the A post. A new lower hinge mount had been purchased along with a lower 1/4 A post cover. The rest of the A post was made up from sheet steel to replace the rotten bits and all welded in place. 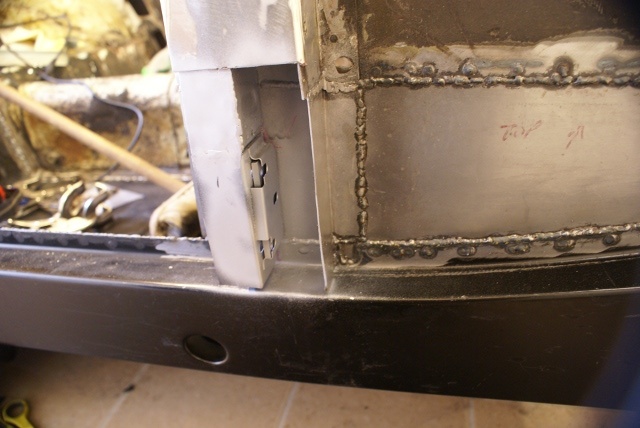 Again, most joins were seam welded for strength and to keep the water out. Some tidying up is still to be done and he door needs persuading to line up with the straight sill but that will be another day.